After some heavy rain in the Sound of Islay the Sun briefly broke through on a ferry crossing to Kennacraig. Soon after I watched heavy rain crossing the Isle of Jura. 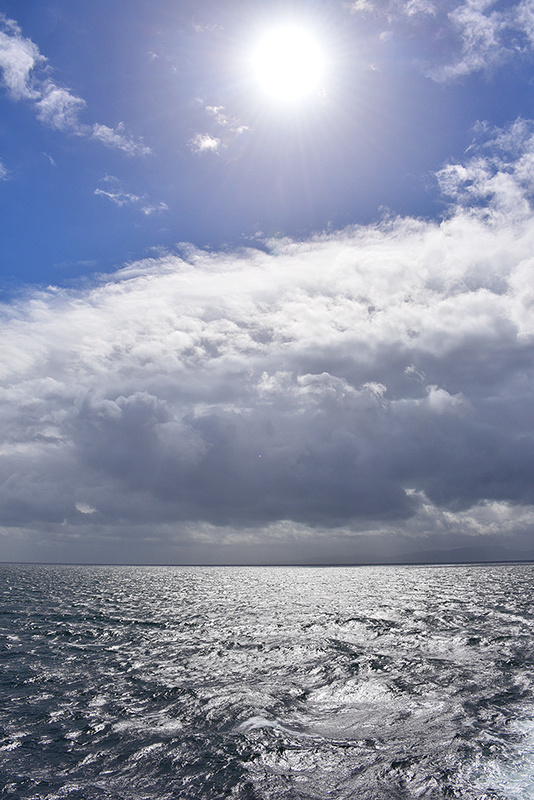 This entry was posted in Cloudy Weather, Mainland journey, New Post, Sunny Weather and tagged ferry, Islay by Armin Grewe. Bookmark the permalink.